“First impressions count”. I am certain we have all heard this just before we have tackled a myriad of social interactions or job interviews. However, it does ring true, first impressions do indeed count. When you are a business or retailer, the last impression you would want to leave your customers with is a malfunctioning automatic door. That just speaks of unprofessionalism and a company that does not care. An automatic door that does not match the rest of the stores décor or a door that malfunctions are not the first thing you want your customers to see. 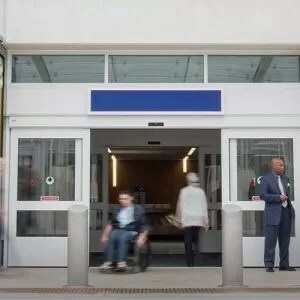 Choosing the correct automatic door for your store is just as important as preventing costly and dangerous problems with a faulty automatic door. When it comes to selecting the correct automatic door for your store, there are many various aspects you have to take into consideration. Aspects such as store layout, number of users, the concentration of foot traffic, and natural wear and tear on the door. Also, will your choice fit with the overall visual impact with the rest of the store? Further, your choice of the automatic door needs to support access areas that are large, as well as any security system you have installed. The types of automatic doors you can choose from are automatic sliding doors, automatic swing doors, and automatic folding doors. Some manufacturers might be able to offer customized automatic doors. However, customized doors carry a big price tag and will require special maintenance that is usually over and above the regular maintenance needed on standard automatic doors. Vital to the process of choosing the correct automatic door, is making sure you choose the correct manufacturer. You will need a manufacturer that completely understands your needs and preferences, as well as one that can properly advise you about the products on offer. Also, you will want to choose a manufacturer that can offer installation and maintenance of the product. To further ensure that you are making the right choice, you can ask the manufacturer to provide proof of compliance with codes and safety standards. You can also ask for testimonials from previous clients, a list of recognized testing agencies they comply with and any certification from local authorities. As far as maintenance is concerned, there is another famous saying that sums it up nicely: “Prevention is better than cure”. Meaning, you will have to have a regular maintenance routine to ensure that the automatic door runs smoothly all the time. Failing this will result in big and costly maintenance work down the line. A regular and planned maintenance program will reduce the cost of an emergency service calland increase the lifespan of the automatic door. The manufacturer that you have chosen would normally offer a maintenance program with the purchase. These programs offered can range from a general maintenance to a full-service maintenance plan. A general maintenance program offered by most manufacturers will entail sending a certified professional to the site. The certified professional will inspect the automatic doors at specified times, as there are times during the day when the door will experience heavier foot traffic. The general maintenance inspection also includes a thorough examination of all operational components of the automatic door to ensure that they adhere to the manufacturer’s standards and specifications. Other components that will be checked included the opening and closing speeds and mechanisms, as well as the sensors, glass, pivots, belts, gears, and lubricants. Should any of these need replacing due to natural wear and tear, the technician will tune or replace depending on the condition of the components. The maintenance cost for the general maintenance will vary from manufacturer to manufacturer, as well as the stipulation in the contract when you purchased the door. Make sure you understand the maintenance stipulations completely before signing. 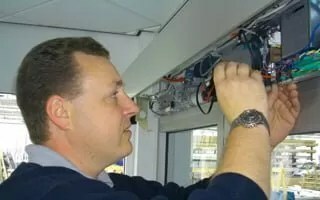 This type of service usually involves your automatic door undergoing routine inspection and preventative maintenance repairs at a set time and cost. Full-service maintenance usually takes place once a year and will include all labor and material costs. To ensure that you set clear budget constraints, you can agree on a price for the full-service maintenance with the manufacturer when you sign the purchase agreement. This pre-arranged agreement is beneficial as it allows you to allocate for it in your annual budget and you can schedule the time for the maintenance way in advance so it does not affect peak foot traffic times. The maintenance program you choose depends largely on your budget, however, a selection of either one of the above-mentioned methods will prove beneficial in the long run. All you need to do is keep track of all maintenance done to the automatic door. This information will be useful for when you need to purchase another door. The maintenance data gather will help you make a more informed decision and a decision that is more in line with your budget. Another important preventative measure is daily examinations of the automatic doors. These daily checks will help you find small problems, that if left unchecked, could become a big and costly issue. Your manufacturer should provide you with a basic checklist. As an extra safety precaution schedule the daily check of the door when there is very light foot traffic. Irrespective of the maintenance program you choose, the importance of and reason for conducting these inspections and checks is to ensure safety. Safety is of paramount importance when choosing an automatic door. Modern automatic doors are manufactured to the highest of safety standards and operate under strict safety codes. Ever improving technologies mean that every component of the door operates in the safest and most efficient manner possible. The three important elements of initial safety are acorrect specification, installation, and maintenance. An automatic door that does not match the rest of the stores décor or a door that malfunctions are not the first thing you want your customers to see.